You can get the Intel Core M-powered Surface Pro (5th Gen) in a special bundle with a free Platinum Signature Type Cover at only $635 from the US Microsoft online store, as well as physical retail locations owned and operated by the Redmond-based tech giant. On its own, the Surface Pro (2017) tablet currently starts at $749, with that excellent productivity-enhancing keyboard accessory separately available for $160. All in all therefore, you’re looking at massive combined savings of 275 bucks or so. $635 is also less than what Best Buy recently charged for the same package as part of a 24 hour-only deal. The special offer has since expired (naturally), although the third-party retailer is yet to jack the fifth-generation Surface Pro back up to its list price. But Microsoft beats Best Buy’s latest discount by a cool $65. Meanwhile, the Surface Pro 6 is obviously faster and better, offering a newer Intel Core i5 processor at a significantly steeper $799, no keyboard included. There’s no point comparing the Surface Pro (5th Gen) to last year’s 10.5-inch iPad Pro either. Not only is Apple’s cheapest iPad Pro in circulation smaller and arguably less impressive in terms of productivity and multitasking than the 2017 Surface Pro, also fetching an excessive $649 with 64GB internal storage and no bundled keyboard. 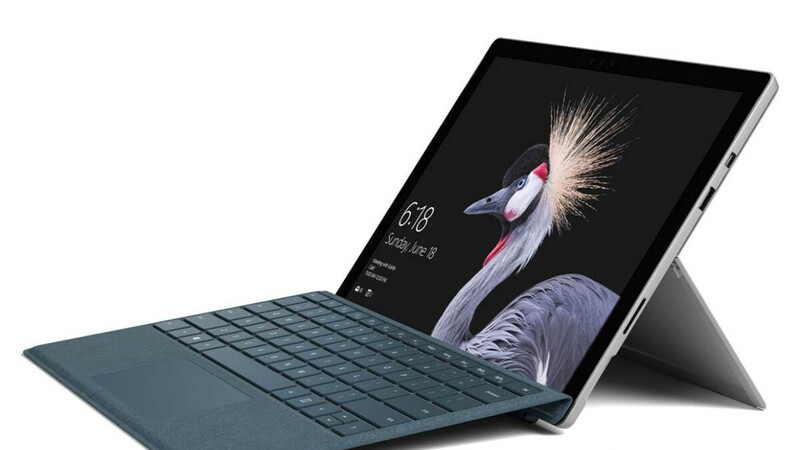 Bottom line, your 635 bucks will guarantee you an essentially unrivaled quality/price ratio, as the 2-in-1 Surface Pro hybrid on sale right now features a 128GB solid state drive, 4GB RAM, 12.3-inch display with 2736 x 1824 resolution, up to 13.5 hours of battery life (in continuous video playback), Dolby Audio Premium-enhanced stereo speakers, an 8MP rear-facing camera, 5MP front shooter, full-size USB 3.0 port, microSD card reader, and 3.5mm headphone jack. Dang. Core m is a no go. May wait till Surface 7 debuts. Seriously, it's 2019 so I gotta ask, is a Core M chip worth it? Maybe but 4gb ram on windows is a rip off if plan on actually using the device.